Having initially been launched back in 2012 as an online casino, LeoVegas introduced their sportsbook in a bid to compete with some of the biggest names in the world of betting. LeoVegas was founded in Sweden by Gustaf Hagman and Robin Ramm-Ericsson, however they are now based in Malta, as well as having offices in both Stockholm and London. Holding a license from the UK Gambling Commission and the Malta Gaming Authority, and have already established themselves as one of the most trustworthy and safe betting platforms around. Back in January 2016, LeoVegas also announced that they were to team up with sports betting specialists the Kambi Group, who already work with the likes of Unibet and 888Sport, in order to develop their sportsbook. As a result, LeoVegas were floated on the New York stock exchange the same year, attracting over 30,000 investors in the process. With LeoVegas looking to make a major impact in the sports betting industry, this review will take a look at all areas of their organisation, taking an in-depth look at their services and features. Despite their relatively short time in the market, LeoVegas have already developed a substantial sportsbook, with 33 different disciplines available to bet on. Whether it be traditionally popular sports such as football, horse racing and tennis in which you are looking for, or up and coming events including cycling and basketball, LeoVegas have all bases covered. Each are covered with a wide variety of bet types, designed to meet the needs of different types of customer. Football features heavily at LeoVegas, with their coverage up there with the very best in the business. Each international and club-based competition from across the world are available, with popular markets including match winner, first goalscorer, correct score, handicap betting and outright tournament winners. LeoVegas also provide their users with some useful stats surrounding upcoming matches, including recent form, head-to-heads and players involved, perfect for those who like to research before wagering. Tennis is another popular market at LeoVegas, with their coverage once again of the highest quality. From grand slam tournaments including Wimbledon and the US Open, to events from the challenger and future series’, fans of both the men’s and women’s game are in for a treat at LeoVegas. Meanwhile, the likes of rugby and cricket are gaining in popularity all the time at LeoVegas, along with sports such as boxing and MMA. In terms of the odds that are made available to customers, LeoVegas’ partnership with Kambi Sports Solutions has only enhanced their offerings. Thanks to their years of experience within the industry, LeoVegas are able to offer fair, yet competitive odds, despite not necessarily being unique. Customers are LeoVegas will also be pleasantly surprised by some of the profit margins in which they are able to take advantage of when using this ever-growing sportsbook. 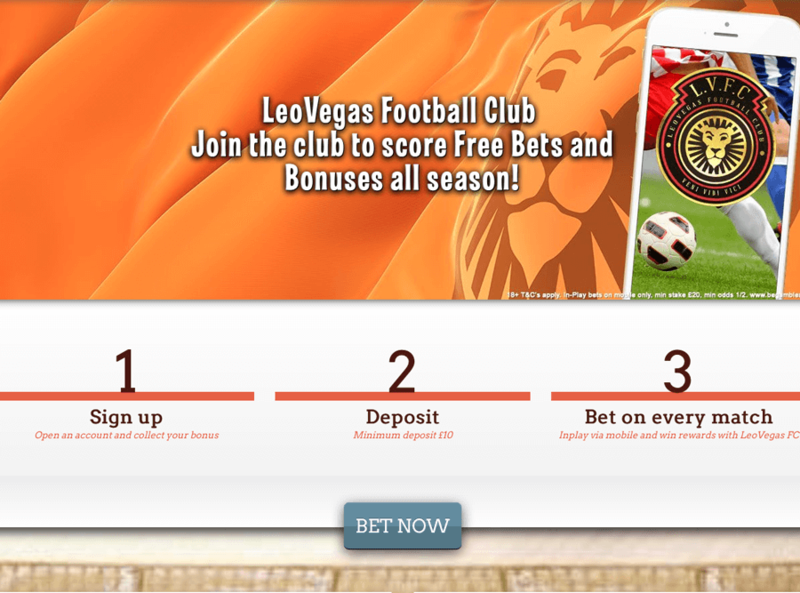 Both the LeoVegas website and mobile app offer a supremely straight-forward platform in which to bet on. Despite not being the most visually pleasing or graphically inclined, the LeoVegas sportsbook allows for quick wagering, as well as easy navigation between markets. Odds can be displayed as fractional or decimal depending on your preference, while users can also customise their account to either accept odds changes or request approval before placing a bet. Live-betting and live-streaming options are accessible from the top of the page, alongside the most popular sports markets. Customers can also easily move between the sportsbook, casino and live casino. 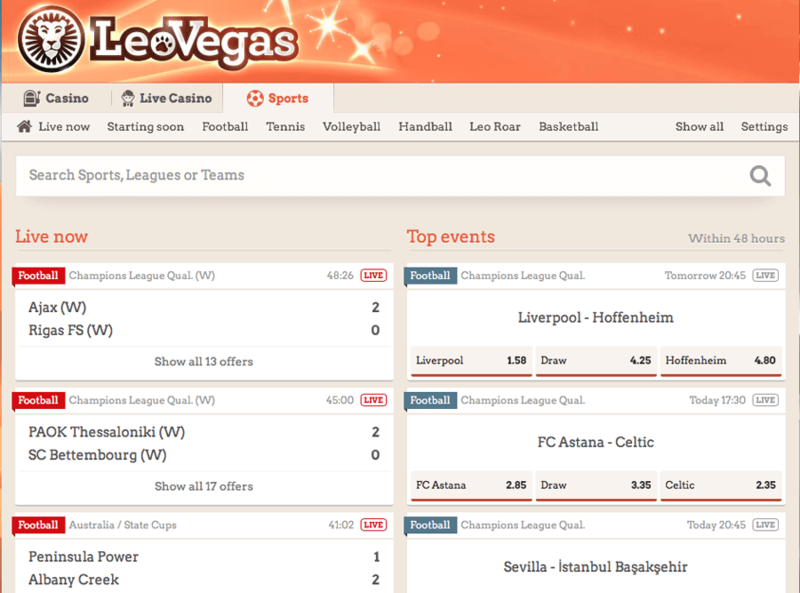 LeoVegas have also made significant progress within their in-play markets, with a wide range of popular sports now featuring in this area of their sportsbook. 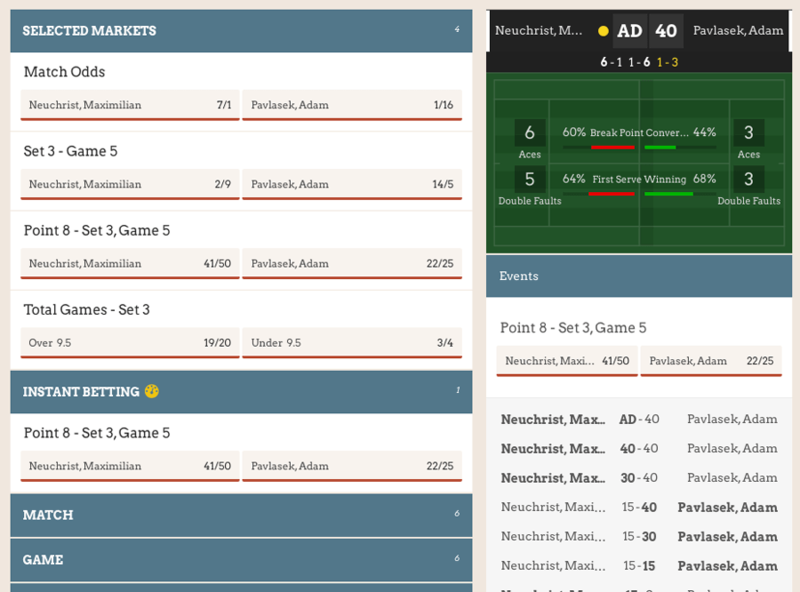 In order to access the in-play area, customers must click on the ‘Live-Now’ tab at the top of the page, where they will be greeted by a huge amount of markets. Despite popular markets such as football and tennis tending to dominate daily live-betting proceedings, sports such as beach volleyball, Aussie Rules and Rugby League are gaining in popularity, demonstrating the diversity offered at LeoVegas. Although live-streaming was not initially a service in which customers could take advantage of, this is an area in which LeoVegas have spent a substantial amount of time and effort upon. Despite not holding the rights to stream many major competitions from around across Europe, football and tennis fans will still find more than enough action to keep them occupied, with daily schedules making it easy for customers to plan their viewing. The ability to simultaneously bet on and view sporting action from around the world has become increasingly popular in recent years, with sportsbook not offering any live-streaming services suffering dramatically as a result. 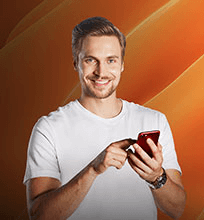 If mobile betting is something that you are interested in, and for many nowadays it certainly is, then you will be pleased to know that LeoVegas have an effective app, that is available for both casino and sports users to utilise. Despite many still preferring to use their desktop devices when placing a bet, the ability to bet on-the-go through a mobile app is gaining in popularity. With all of the same features as found on the LeoVegas main site also available on the app, there is no reason to ever miss out on an opportunity to bet on your favorite team. Unlike the LeoVegas desktop site, the mobile app has a powerful interface, making it easy for customers to navigate between different markets. The app is available to download from both the Apple Store and Google Play, meaning that iOS and Android users can take advantage of its features and services. As well as this, the LeoVegas site is mobile-friendly, albeit it a little difficult to use on such devices. In-play betting and live-streaming are both also available on the app, meaning that customers can both wager and watch sporting action on their device, without having to think about any decrease in quality. LeoVegas include both deposit and loss limits as part of their service, as well as wagering, session and time limits in order to help promote responsible gambling. As well as this, there are limits in the level of withdrawals that can be made, which tend to very depending on the popularity of the market. These usual sit between 50,000 € and 250,000 €, more than adequate for the majority of customers. LeoVegas also provide a whole host of promotions and offers in a bid to ensure customers remain loyal to them. As many of you will know, nothing attracts more interest in a sporting event than an enticing bonus, with LeoVegas able to compete with even the most successful bookmakers in this area. While football again features heavily in such promotions, the likes of rugby, cricket and tennis are also beginning to receive more attention. Some offers run for specific sports events or over a certain period of time, such as cashback offers for tennis or football accumulator insurance. Double profit boosts and enhanced odds are also regular promotions made available to customers at LeoVegas. 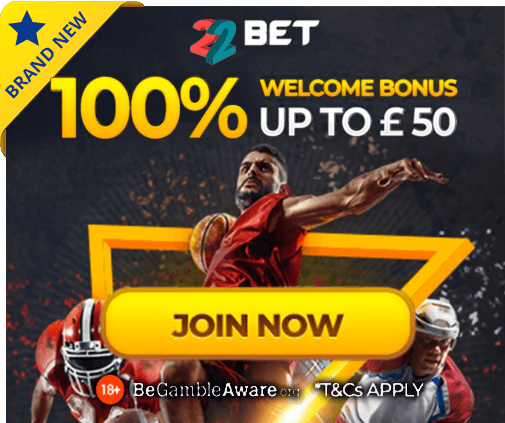 For new customers, LeoVegas offers the chance to receive up to £100 extra winnings on your first deposit*, something that is completely different to any other welcome bonus offered by bookmakers. This means that if you win, you will receive double the winnings. While this may not appear as generous as other sportsbooks, with some 100% matching initial deposits up to 200 €, this is still a bonus well worth taking advantage of, with earnings potentially providing the perfect platform to begin your betting strategy. There are also a range of weekly competitions, where customers can win prized away from the world of betting. Both depositing and withdrawing funds at LeoVegas is extremely simple, with a number of banking methods to choose from. In order to ensure that you have money in your account to wager with, there are a number of options when it comes to making a deposit. As well as the traditional credit or debit cards and bank transfers, modern e-wallet style platforms, including PayPal and Neteller are also available, each of which will vary in time when it comes to transactions. Once funds are in your account, you can begin to use the money within ten minutes, however those using e-wallets may have to wait up to 20 minutes. In order to transfer funds, customers must click on the ‘deposit’ tab, before selecting from a choice of payment options from the list provided. Meanwhile, when it comes to withdrawals, the process is also relatively easy to get to grips with. Simply log into your account and click on the ‘services’ tab, before locating the ‘withdraw’ tab within the banking section. Depending on the method of banking in which you have chosen, the receipt of funds can take anywhere between just a matter of hours and several days. Credit and debit cards normally hold a transaction time of between 3-5 days, while PayPal payments will be received within just a matter of hours, however this does have a limit of € 12,500, more than adequate for most punters. Euro, Great British Pound, Swedish Krona, New Zealand Dollar, Canadian Dollar, Swiss Franc, Norwegian Krone and Danish Krone. LeoVegas are quick to deal with any issues or problems that arise thanks to their efficient customer service features. Available 24/7 throughout the year, customers are able to reach a member of the LeoVegas team via email, telephone or live-chat. With the LeoVegas site available in both English and Swedish, however the toll-free telephone number is only available to those within the UK. Although issues do not often arise as a result of LeoVegas’ effective sportsbook operations and easy-to-use interface, in the rare occasion that customers are forced to seek help, response times are generally very good. However, for those looking for rapid assistance, the LeoVegas live-chat feature is undoubtedly the best option. Customers can rest assured that despite their lack of experience within the industry, LeoVegas are a trustworthy platform in which to carry out your sports betting at. Fully licensed and regulated by both the UK Gambling Commission and the Malta Gaming Authority, as well transactions being backed by a state-of-the-art SSL encryption, all transactions processed at LeoVegas are completely secure, no matter what your preferred payment method is. As always, betting at LeoVegas is only available to those over the age of 18, while the company also try to ensure that betting is carried out smartly, with spending limits being able to be set. Customers will also be asked to verify their identity upon registering, which could involve providing further documentation via email or post. This sportsbook review has certainly demonstrated that LeoVegas are an organisation that are set to continue to make a mark in the world of online betting. Whilst perhaps not providing the glitz and glamour of the more established bookmakers, LeoVegas understand what they are good at, and play to their strengths. With a design on both the desktop site and mobile app aimed at optimising the experience of players, users are able to enjoy the betting experience. With one of the most detailed number of sports markets around, alongside some competitive odds, LeoVegas are only set to go from strength to strength. Having already introduced live-streaming due to popular demand, their profit boost welcome bonus is another reason as to why LeoVegas are viewed as one of the most innovative sportsbooks around, helping them to diversify from the rest of the market. Given their dramatic growth within their sportsbook over the past 12 months, it will certainly be interesting to see what other services and features in which they will add in the near future, with many potential customers on the lookout for a new sportsbook.